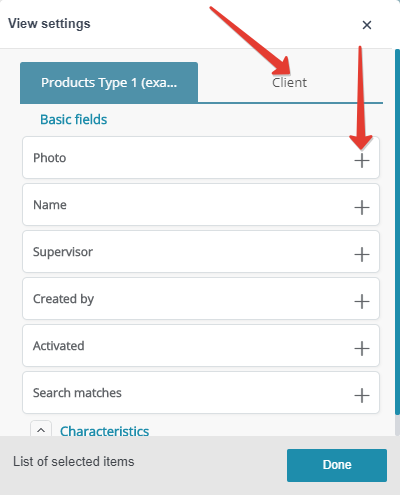 You can add new fields to form additional columns. Columns settings are saved for each user individually and are effective on any device under the user's login. Columns settings for new users are automatically copied from the CRM administrator's settings. 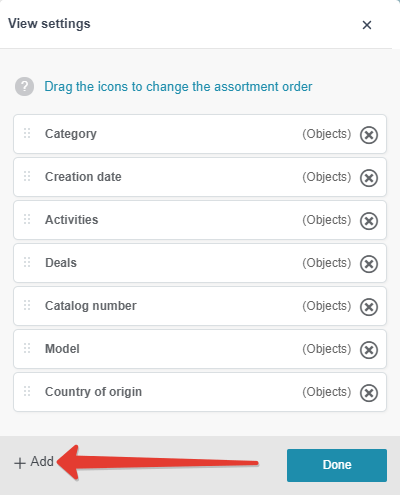 When adjusting columns on pages "Deals" and "Activities", you are required to select the type of deal/activity.